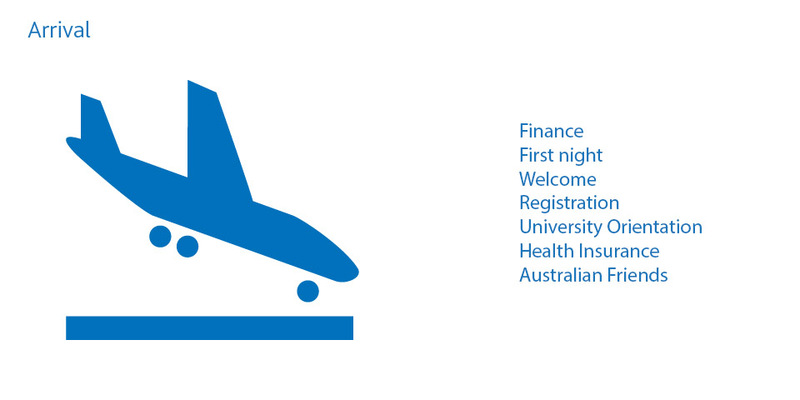 The 2015 International Student Barometer was conducted at JCU from April to May 2015. All current international students were invited to participate. Globally, in 2015 there were 161,304 international students who participated from 205 institutions in 20 countries around the world. In Australia 23 institutions participated. 47% of our international students studying at our Townsville and Cairns campuses completed the survey. Note: These results are regarding the feedback from international students at JCU campuses in Townsville and Cairns only. 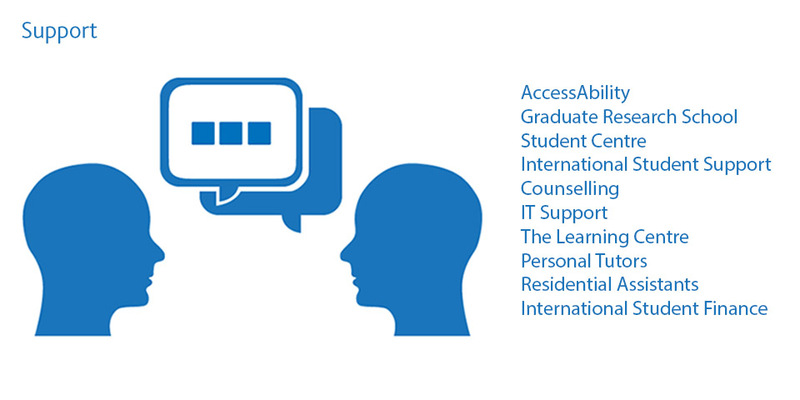 97.8% of international students were satisfied with the support provided by the AccessAbility service. 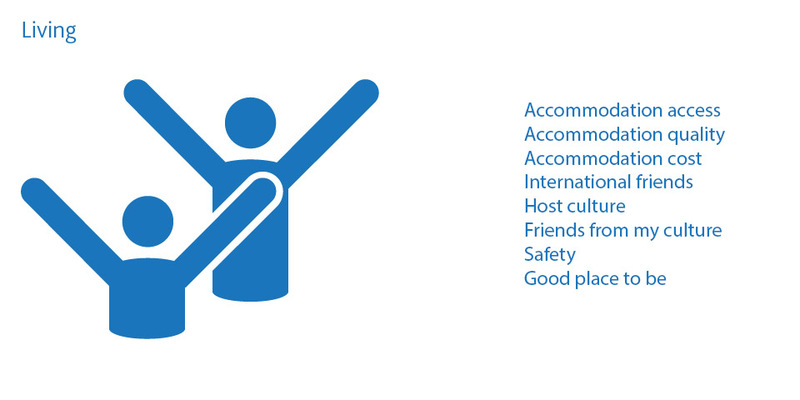 88.9% of international students were satisfied with the quality of the buildings on campus. This is close to the national average of 88% - and an improvement on 81% satisfaction in 2013. 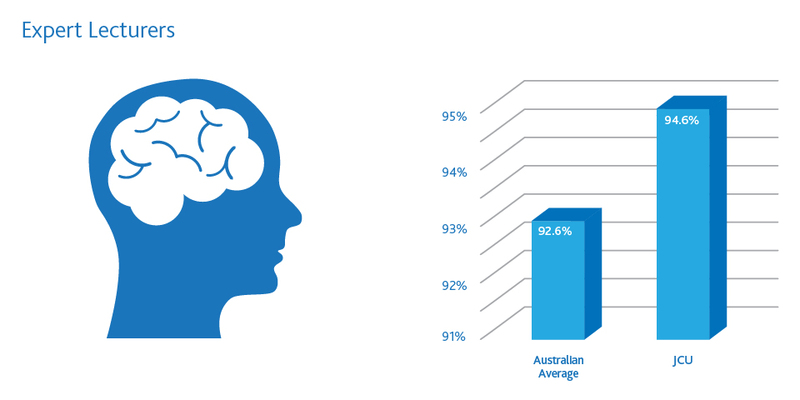 94.6% of international students were satisfied that JCU has expert lecturers. This is 2.6% above the national average. 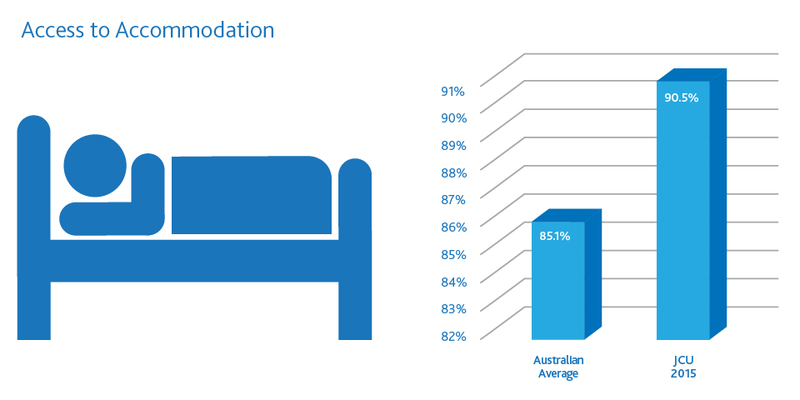 90.5% of international students were satisfied with their access to accommodation while studying at JCU. This is 5% above the national average. 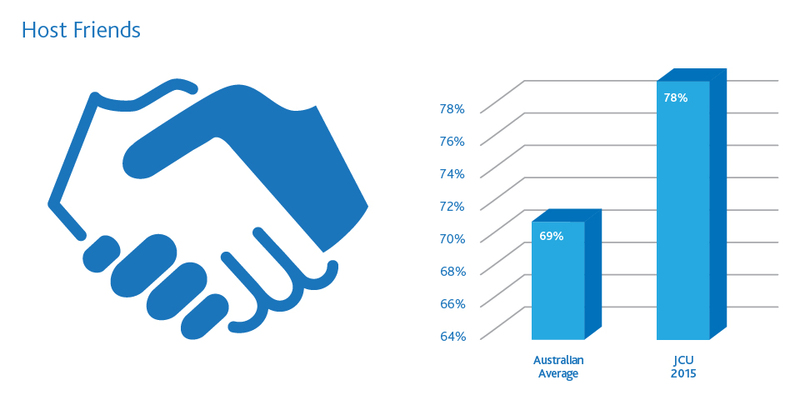 78% of international students were satisfied with the ease of making friends with Australians. This is 8.8% over the national average. 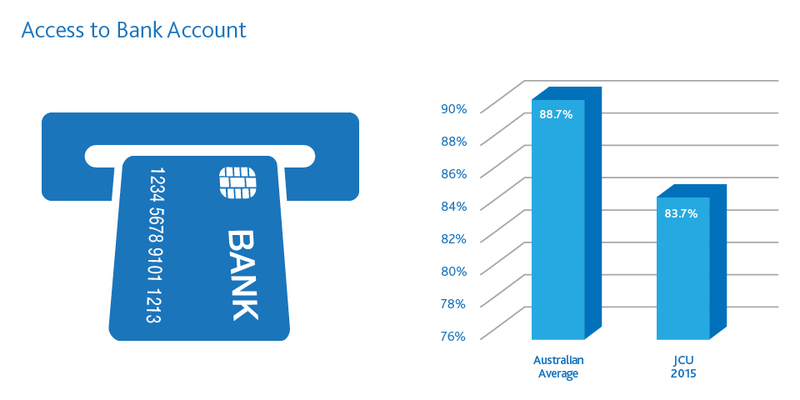 83.7% of international students were satisfied with the ease of setting up a bank account – this is 5% lower than the national average. We will be engaging in discussions with Australian banking institutions to investigate ways to make it easier for students to set up a bank account prior to their arrival in Australia. 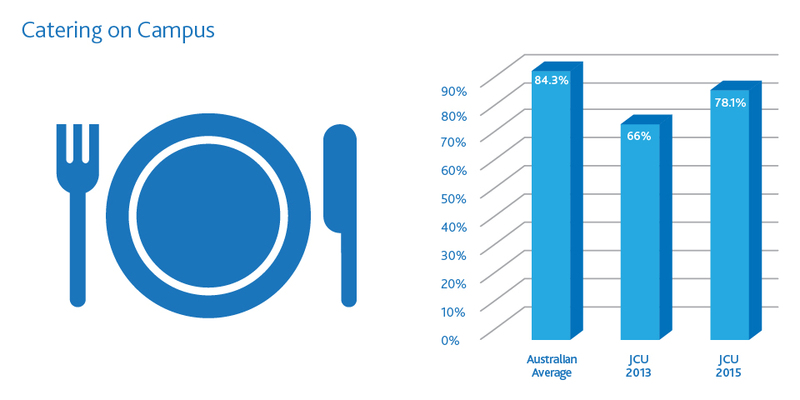 78.1% of international students are satisfied with the catering at JCU. This is 6.2% lower than the national average. This has improved from the 2013 result, where only 66% of students were satisfied with the catering on campus. In that time Townsville has seen the opening of Miss Sushi, Juliettes and Jamaica Blue – and after the survey was held Cairns has seen the opening of the D’Lish café in the Cairns Institute building. While we have improved, we recognise more can be done, and JCU remains committed to providing a variety of healthy, convenient and affordable food offerings on our campuses. 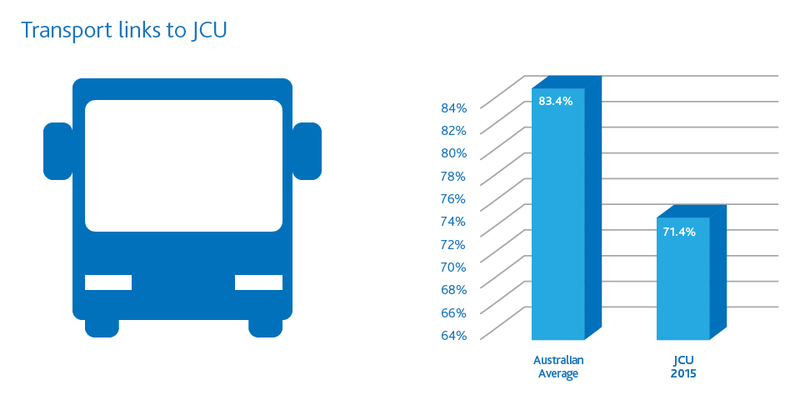 71.4% of international students were satisfied with the public transport links to JCU. This is 12% lower than the national average. We acknowledge that the public transport links to our campuses in Townsville and Cairns leave much to be desired. The bus routes and frequency of travel are not in the direct control of JCU – however we are a stakeholder that engages with the Queensland Government in an effort to improvethese services. We will continue to work with the government to make transport to JCU as easy as possible. To make it easier to choose to ride a bicycle to campus we have been creating end of ride facilities – places you can lock up your bicycle, have a shower and change clothes. For the location of these facilities, and more information about cycling at JCU please see Bicycletravel at JCU. 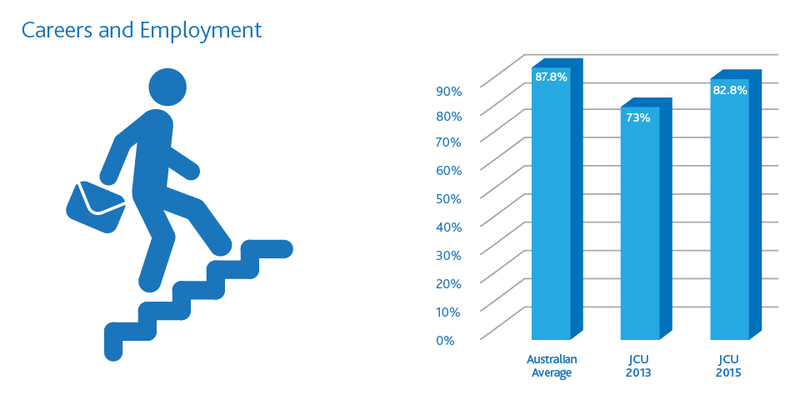 82.8% of international students were satisfied with the support provided by the Careers and Employment service. This is 5% below the nationalaverage, however has improved from the result in 2013 – where only 73% of students were satisfied. The JCU Careers and Employment service continue to work to improve the service provided to international students. James Cook University thanks all of our international students who took the time to tell us what you thought about your experience here. 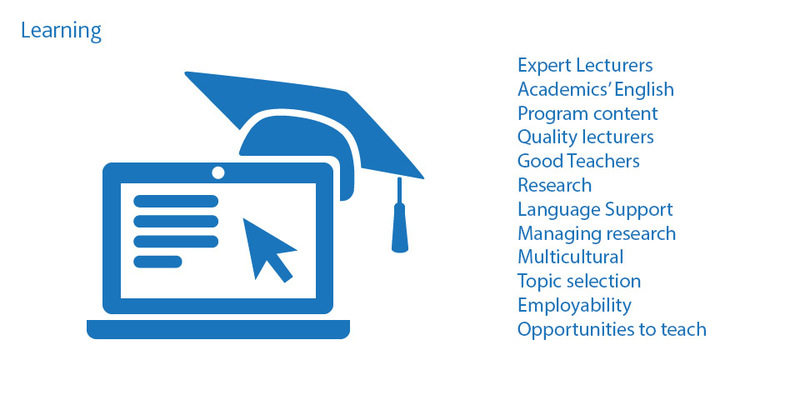 This information will be used to improve the international student experience. If you have further comments or suggestions for improvement, you can email isb@jcu.edu.au.